Borders between countries tend to have very poor reputations, and the United States-Mexico border is particularly known for being volatile and prone to the illegal crossings of people, drugs, and guns. Tensions are high on both sides, and often just a few miles can mean a vastly different quality of life. In some cases, on both sides there are those who feel that the government and official law is not doing enough to keep the peace, resulting in the formation of citizen brigades and militias. 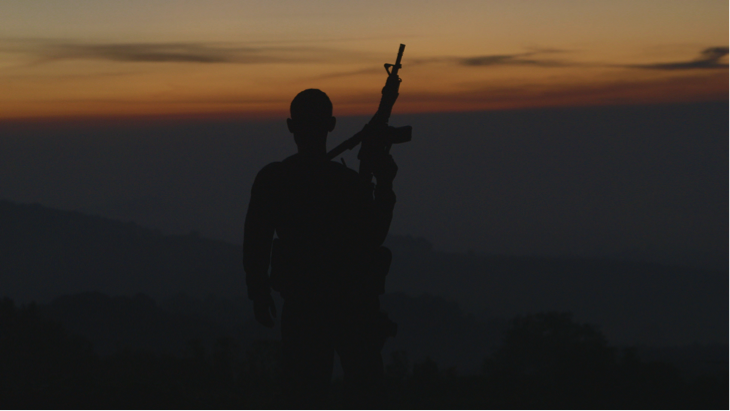 “Cartel Land” explores vigilante groups in Michoacán, Mexico and Arizona that chooses to deal with their situations in a proactive manner. The point for paramilitary organizations is well made by this film’s American subjects, who highlight the risks of Mexican drug cartels bleeding in over the border and compare the situation to two animals in a cage fighting, which all but dooms two races to not get along. In Mexico, the prevalence of the cartels and the way that they ruin so many lives is conveyed by heartfelt testimony from locals about how they or family members were kidnapped and killed, all simply because they were employees of someone who couldn’t pay a debt to the cartel. The autodefensas and its leader, José Manuel Mireles, are introduced, an armed group that has taken it upon itself to go after the cartel and keep its citizens safe. There is little hope to be found in this portrait of attempts at citizen peacekeeping, as armed power inevitably corrupts. Even more disturbingly, the line between the autodefensas and the people they seek to take down took little time to blur, simply transforming the monster from one menace to another. The level of access attained by filmmaker Matthew Heineman and his crew is impressive, and the testimonials from victims, perpetrators, and those who say plenty to suggest that they might be both are immensely informative and eye-opening. What this film shows more than anything is that there exists a severe problem that neither the Mexican government nor the United States government is equipped to handle or interested in addressing, and the solutions that have sprung up in place of any official action are equally troubling. This Oscar nominee for Best Documentary is an important and disturbing look at the root of the problem, and though it doesn’t offer explicit answers, it at least begins the conversation.